Enterprise Infrastructure Solutions Consultant - Columbus, OH; Pittsburgh, PA, Detroit, MI at Dell Inc.
Dell provides the technology that transforms the way we all work and live. But we are more than a technology company — we are a people company. We inspire, challenge and respect every one of our over 100,000 employees. We also provide them with unparalleled growth and development opportunities. Within Commercial Sales, we are looking for an Enterprise Infrastructure Solutions Consultant to join our Global Compute and Networking organization. Our Ideal candidate will be based in the PacWest region, Seattle or Oregon. From developing brand new accounts to driving expansion of Enterprise Infrastructure across existing accounts, our Sales team transforms opportunity into action every day. Whether focusing on a geographical area, product line, industry, channel or market segment, their goal is the same: to develop relationships with the end-users of the organization and generate meaningful sales. They are the direct line between our ground-breaking portfolio of product solutions and the desks of satisfied customers. 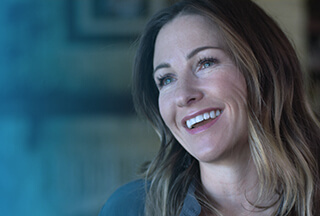 Build and Execute a plan to connect Dell Technology Solutions to meet and exceed the Customer’s needs. Establishing and growing relationships across the Dell EMC Sales organization to deliver net new Customer relationships and grow existing partnerships where applicable.